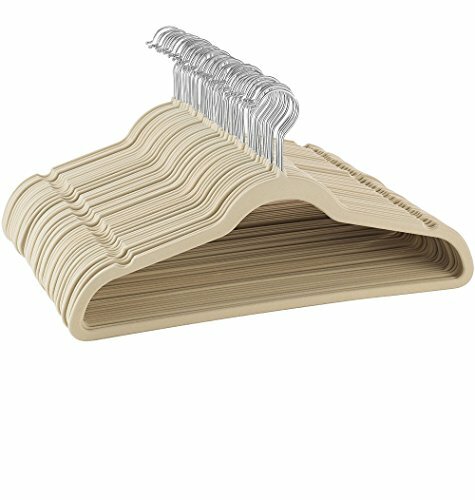 Tired of your clothes slipping off the hanger? 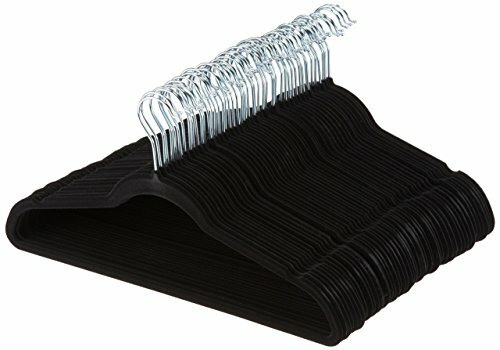 Frustrated by bulky hangers taking up too much space? 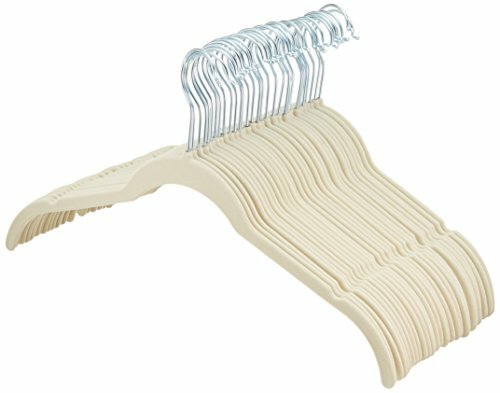 SONGMICS 50-pack plastic clothes hanger is the perfect choice for your dorm room, condo, or apartment. 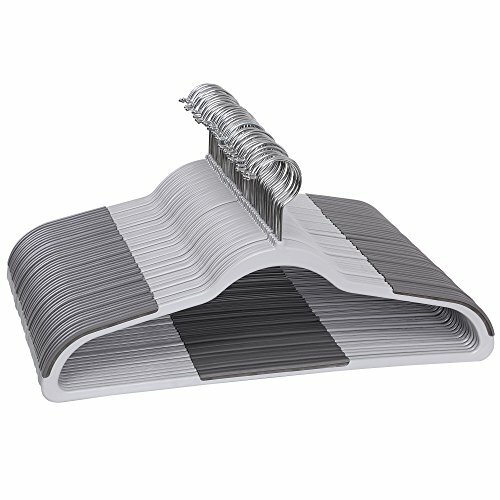 Sturdy ABS frame with non-slip stripes prevent your clothes from slipping or creasing. 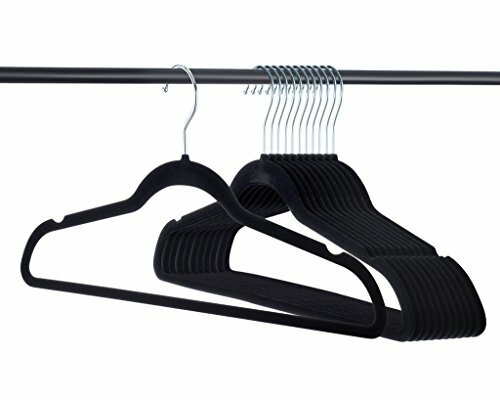 Ultra thin design maximizes your closet space and 360° swivel hooks help hang your garments easily. 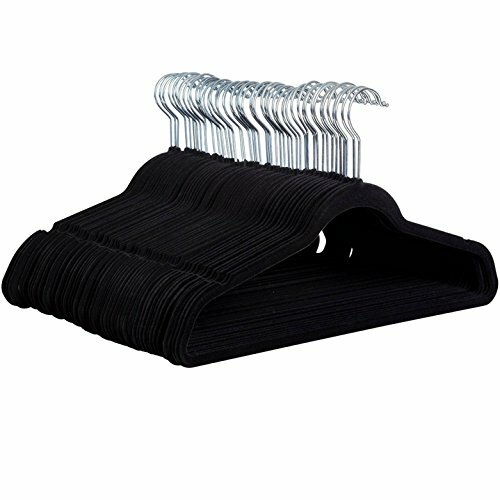 Great for indoor wardrobe organization as well as outdoor clothes air-drying. Specifications: - Color: Gray - Material: ABS Plastic Frame - Single Product Size: 17 3/8"L x 1/4"W x 8 7/8"H (45 x 0.4 x 22.8 cm) - Single Hanger Weight: 0.15 lb (69.5g) - 360° Swivel Hook: Yes - Ready to Use: Yes Package Contents: - 50 x Plastic Clothes Hangers Notes: - Keep it away from sharp objects to avoid scratches. - Please make sure hanging items are within the loading capacity. 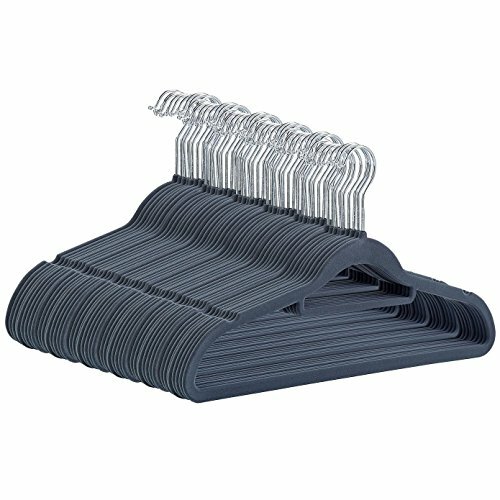 It may sound simplistic, but it is true; the ONLY thing you need in order to have a closet perfectly organized is hangers! You can store practically anything on them; pants, skirts, dresses, jackets, coats, sweatpants, scarves, pashminas, ties, jeans, tuxedos, suits – the list never ends! 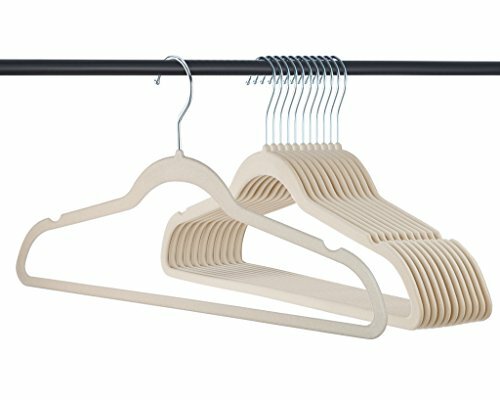 Our hangers are ergonomically designed, with an elegant chrome finish and an attractive, slim silhouette that will help you save an incredible amount of storage space! Moreover, they are made of lightweight, heavy-duty plastic that will last you for years and can hold up to 10 pounds of weight – not to mention that their head swivels 360 degrees; talk about many birds with one stone! 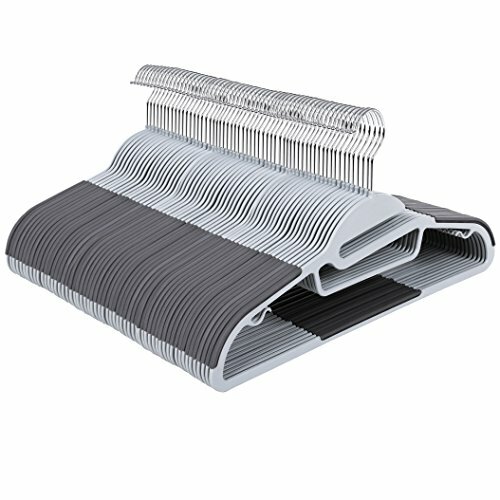 Specifications:- Color: Gray- Material: ABS Plastic- Size Of Each Hanger: 16.3"L x 0.2"W x 8.9"H (41.5 x 0.5 x 22.5 cm)- Weight Of Each Hanger: 0.2 lb (86 g)- Max. 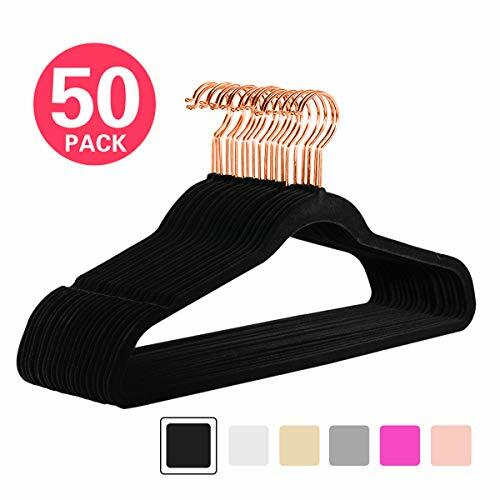 Load Capacity Of Each Hanger: 11 lb (5 kg) Package Contents:- 50 x Clothes HangerSONGMICS Notes:- Keep the hangers away from heat sources and flames.- Do not use the hangers in high temperature environments.- Do not overload the hangers.- Do not use these hangers in a tumble dryer.